We started off the day by heading out towards the shallows in the hopes of spotting some cetaceans. 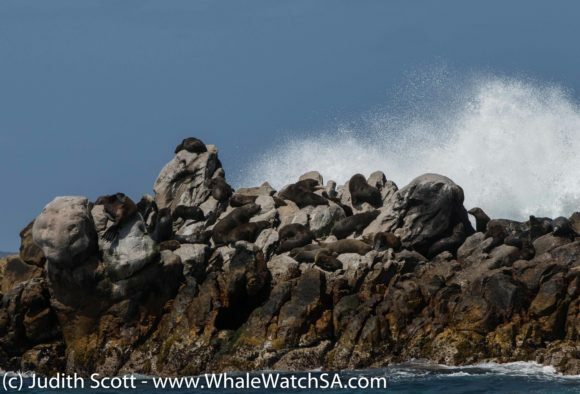 Within minutes of being on the water, we happened upon a spectacular sight; a breaching whale! This was the most awesome surprise, so we quickly head on over to see if we could get a closer look. 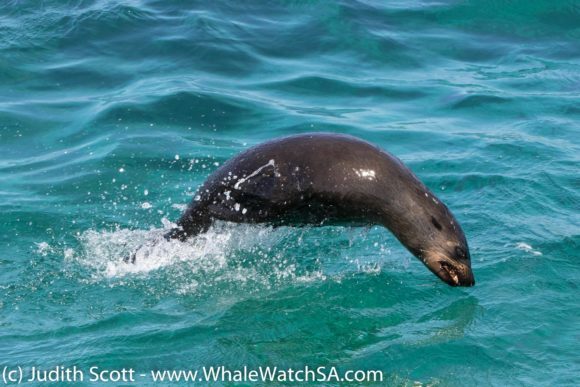 We were in luck and got to watch this frisky sub adult strut it’s stuff, throwing it’s large body out the water a couple more times for us before he got a little tired of this trick. This was, however, not the end of the show with this curious little fellow coming in for a closer look. 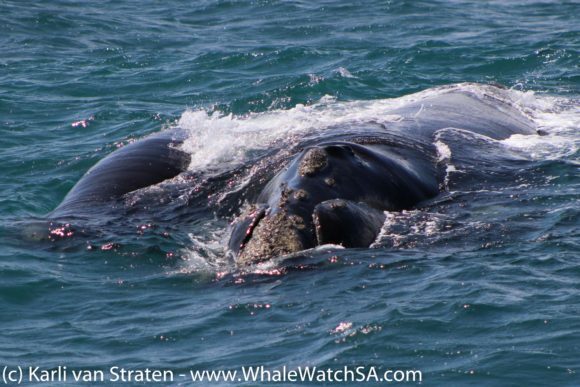 Southern Right Whales are known for their curiosity and laid back nature, which is one of the main reasons why the population was decimated back in the whaling days. This beautiful creature came pretty close to the back of the boat, having a look around and then opening his mouth for us a bit. It’s always super cool for us to get to see this as they generally keep their mouths closed on this side of the world due to the lack of food around. 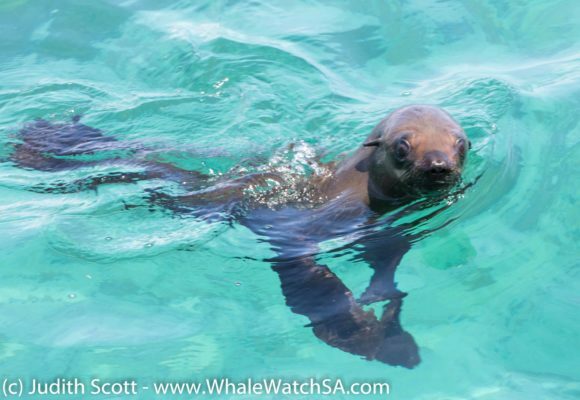 This epic sight was then followed by a bit of tail action from this cutie before we moved off towards Dyer Island. 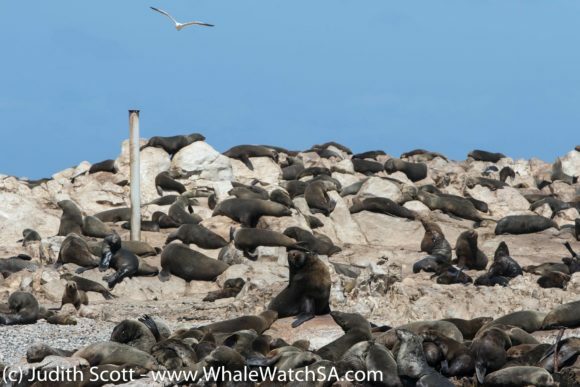 Things are heating up at our seal colony at the moment with more and more big males hauling out in preparation for their baby making season. 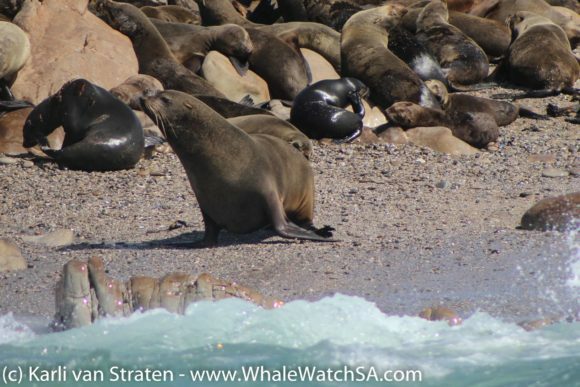 We’ve already started to see a couple of placentas in the water which means that if we do not have some pups already, that many are well on their way. 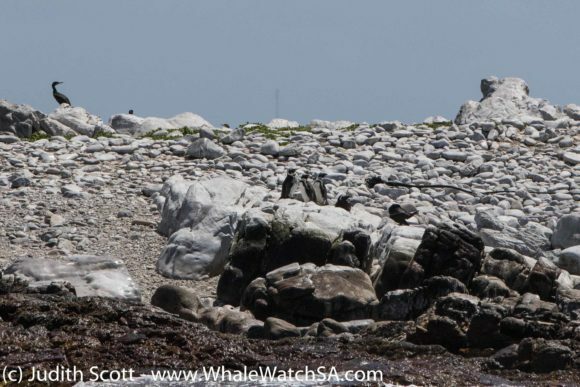 We will have 10 -12 000 little ones on Geyser Rock very soon, with us eagerly awaiting the first pup sighting of the season. On our way back to the harbour, we found another couple of Southern Rights travelling along The Clyde. 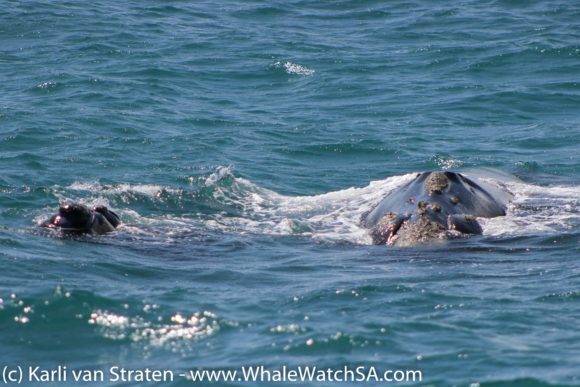 This time, we had a mother and calf pair which we also got to see on the second trip of the day. 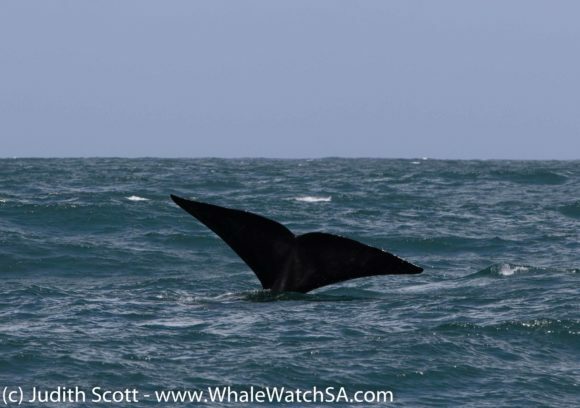 The second trip started off with 2 sub adults fooling around in the breakers close to Jouberts Dam, with the whales being less than phased by us observing them. 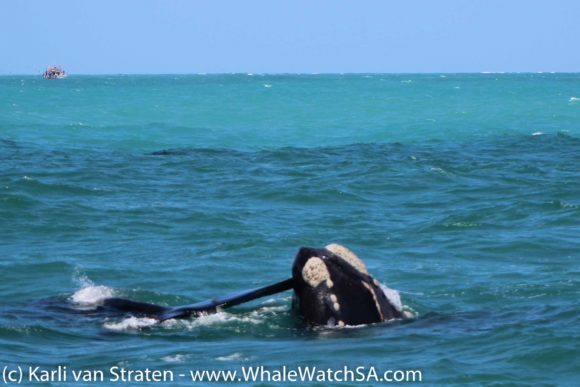 These two were rolling around in the water, with flippers and tails popping out every now and again for our viewing pleasure. 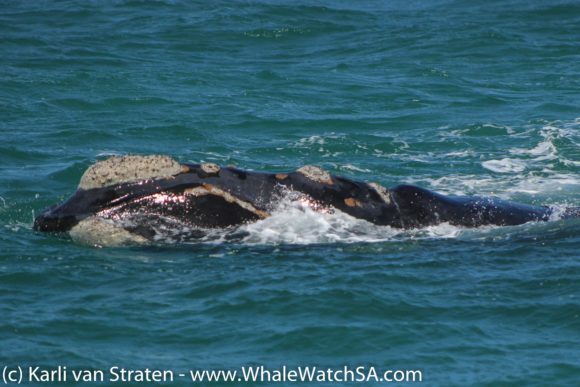 One of these whales has been around the bay for the last 3 days or so and is easily recognisable by the collections of whale lice on his head. We’ve decided to call him Danny and he’s definitely becoming a fast favourite amongst the crew. 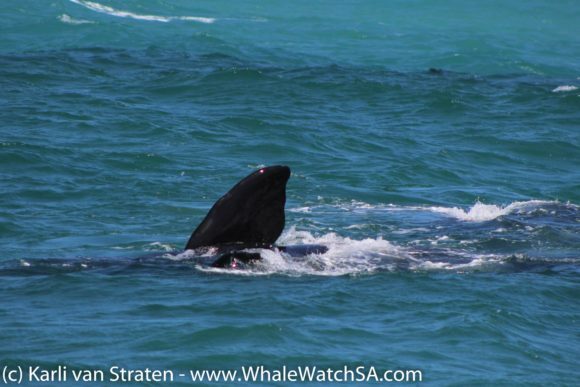 After this, we moved on with our tour and caught up with the mother and calf pair from the first trip. 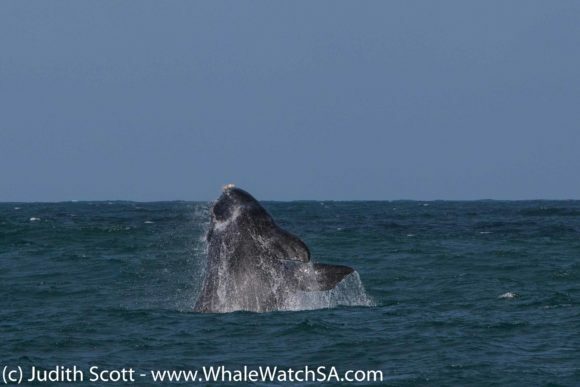 The mother is very easily the largest whale of the season, a truly impressive sight. 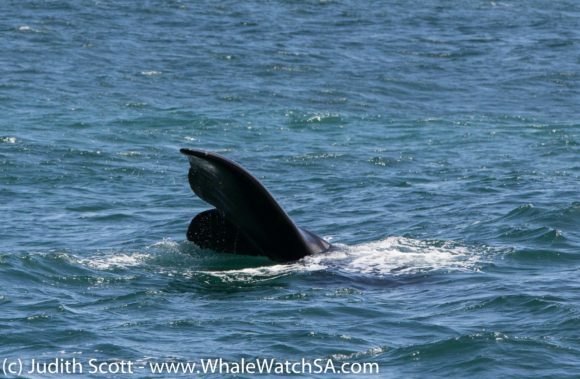 We watched them from a distance before they approached us, so close in fact that we really got a sense of the size when that gigantic tail came up right next to the boat. 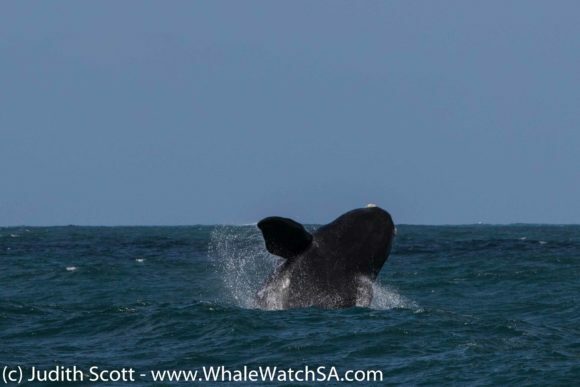 Southern Rights are considered to be smaller than their northern counterparts, getting to a size of around 15m in length, with some of the largest Northern Rights being almost 20m in length. 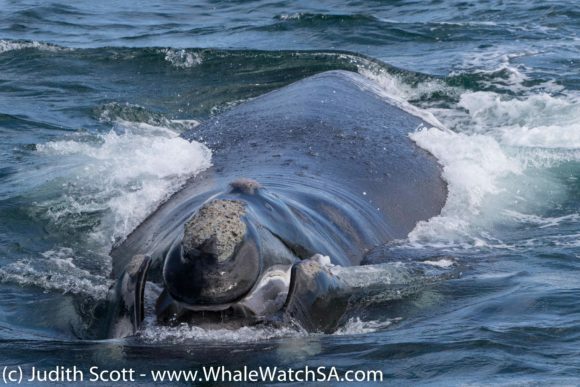 With this large mommy, we had a really playful calf which we got to watch roll over its mom. This little dude had not a care in the world, spending some time on its back and checking us out a little before they both moved on, past Geyser Rock and into the slightly deeper blue.